At Toyota of Brookfield, we're dedicated to providing our guests with a very positive shopping experience. When you arrive at our dealership you will be greeted by our friendly, professional, and knowledgeable staff. We want to ensure you are making an informed decision and will discuss the best options based upon what you want. 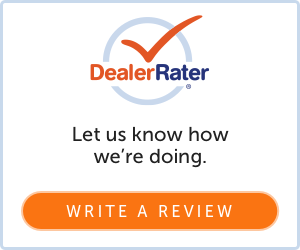 Read some of our hundreds of reviews from around the web on this page or write us your own review. If you have any questions or concerns please contact us today and we'll work to provide a resolution ASAP. Thank you for shopping with Toyota of Brookfield! We continue to return to Toyota of Brkfld because they are fair & reasonable. No pressure. We got the car we wanted even though they had to search for the particular color & set up. I purchased a 2018 Highlander for my wife from George Argires. My wife always has anxiety when we do things like this. George was very understanding and patient. She feels great about her purchase. Many thanks to George. I’m considering a Toyota this year to lease. George Argires was very helpful and made my decision very easy! Was in and out in a timely manner! First time buying a car and I know I made the right decision. Thank You Luis and Ryan, they are very polite, informative, understanding, and is willing to find something that works for me. I would love to recommend you guys with my friends! Cheers! Working with Henry and Jackson was such a pleasure. We were treated like family! I would highly recommend Toyota of Brookfield to anyone in the market for a new Toyota!